MONDAY, April 10, 2017 (HealthDay News) -- Wrist-worn activity trackers such as Fitbit don't reliably assess heart rate, a new study finds. While the devices may have some legitimate benefits, they shouldn't be used for medical purposes, researchers suggest. "These devices are probably good enough to inform consumers of general trends in their heart rate -- high or low -- [but] it's important to have more accurate information when physicians are relying on this data to make decisions on medications or other tests and treatments," said Dr. Mitesh Patel. Patel is an assistant professor of medicine and health care management at the University of Pennsylvania. He wasn't involved in the study. However, the study's lead author cautions against making too much of the discrepancies. "At any moment, the tracker could be off by a fair bit. But at most moments, it won't be," said Lisa Cadmus-Bertram, an assistant professor of kinesiology at the University of Wisconsin at Madison. "The heart-rate feature performed better at rest," she said. "They're not as precise during exercise." During exercise on a treadmill at 65 percent of maximum heart rate -- defined as 220 beats per minute minus age -- accuracy suffered more. Meanwhile, Fitbit's maker said its fitness trackers aren't intended to be medical devices. The company issued a statement in response to the new study. "We conducted extensive internal studies which show that Fitbit's PurePulse technology performs to industry standard expectations for optical heart rate on the wrist," the statement said. Moreover, "Fitbit devices were tested against properly calibrated industry standard devices like an EKG chest strap across the most popular activities performed worldwide -- including walking, running, biking, elliptical and more." "Not only have newer models since been released, but the algorithms behind the data are presumably being updated and improved on a regular basis," she said. "So the results we found might be different if we did the study again now." In general, she's remains a fan. 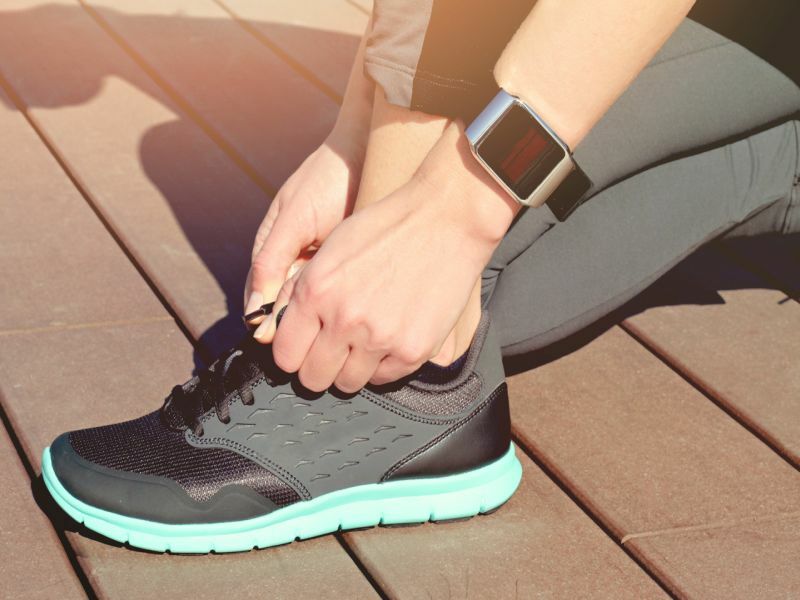 "On the whole, fitness trackers still provide a tremendous amount of useful information to the average user who just wants some feedback to help them to increase their exercise level," Cadmus-Bertram said.